Home Unlabelled Homeless Man Asks Cashier What He Can Buy With 50 Cents. His Response Will Make You Cry. Homeless Man Asks Cashier What He Can Buy With 50 Cents. His Response Will Make You Cry. 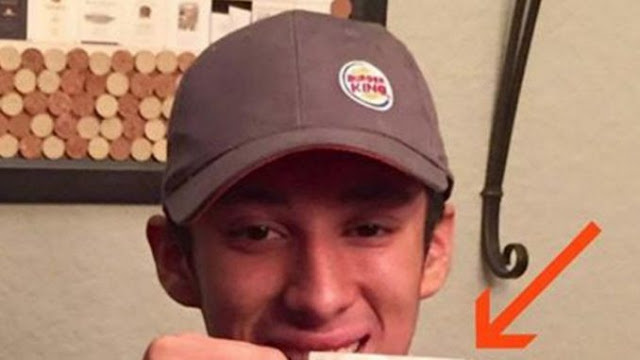 Proud mom, Michelle Resendez, shared a photo of her son, Matthew, with a very generous tip he received after a customer saw him do something extremely kind. “Proud mom moment! Matthew worked this evening and a homeless gentlemen walked in the restaurant with 50 cents and asked if there was anything on the menu he could buy. Matthew asked him what he would order if he could and the man said anything would help his hunger pains. So Matthew rung him up for a hearty meal and then used his own debit card to pay for the man’s meal. He handed him the receipt and told him to relax and take a seat. The story could end there and it would be a happy ending, but apparently a woman watched my son during his random act of kindness.